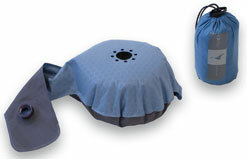 Comfortable, compact, lightweight and affordable AirMat with and an integrated pump for quick and simple inflation. 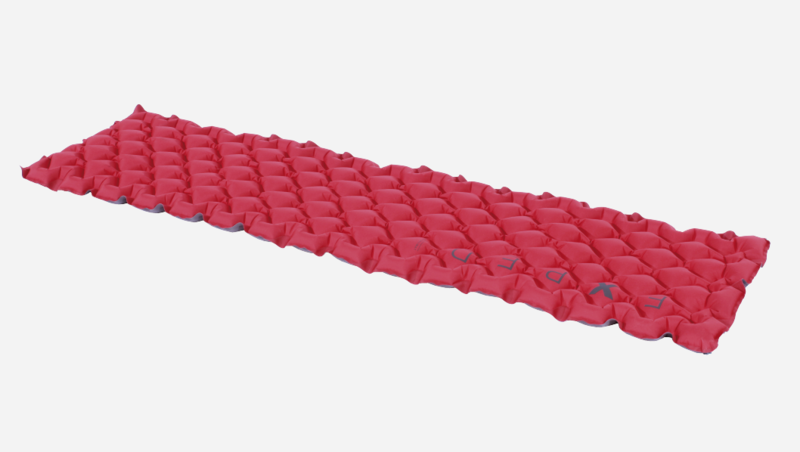 The SynCellMat 5 utilizes a unique matrix of air cells that accommodate body contours and smooth rough ground. Multiple air cells (with microfiber insulation) prevent internal air circulation and enhance insulation. 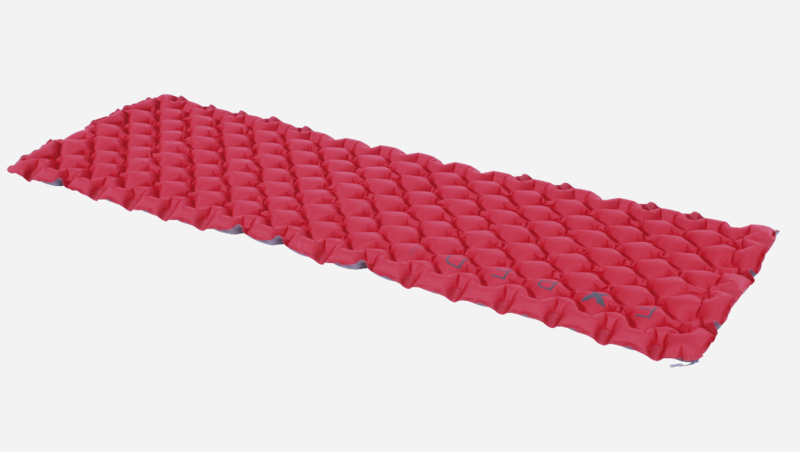 This construction technique also makes the mat compact and light when stowed and ensures rapid inflation. A great choice for hammock camping due to its structural flexibility. Ultra compact and ultralight insulating mat: the mat that fits in your hand. Warm, comfortable, super compact and lightweight: this synthetic filled mat even has a light price tag. This airmat filled with synthetic fiber is super comfortable, warmer and lighter than regular sleeping mats. The SynMat packs down small thanks to the microfiber filling that compresses extremely well. Quick inflation with the ingenious integrated pump. 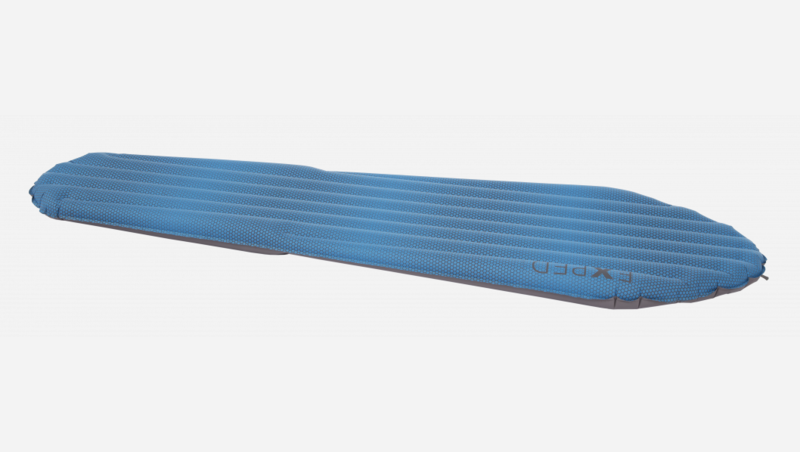 Size 183 x 52 x 7 cm/72 x 20 x 2.8"
Packed 21 x 15 cm/8 x 6"
The SynMat UL is the ultra light and ultra compact version of the SynMat with slightly lower insulating, puncture and abrasion resistance values. 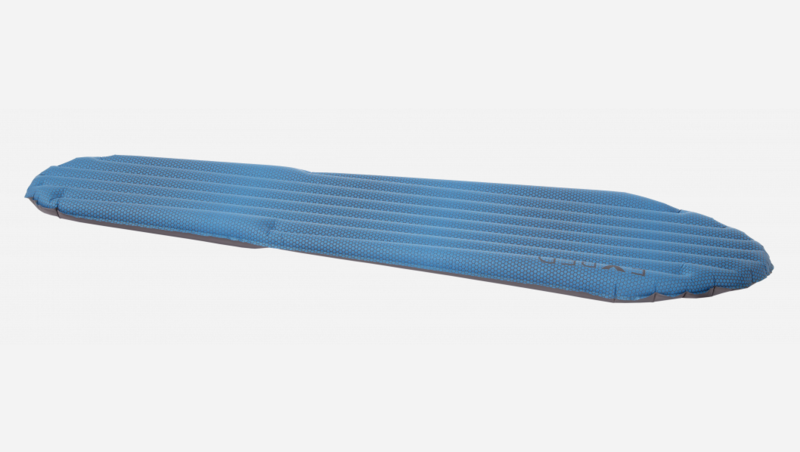 The SIM Lite is a classic selfinflating mat, however by using lightweight PU foam and air cores lighter than others. Well proven FlatValves, one for inflation, the other for deflation, are robust and easy to use. 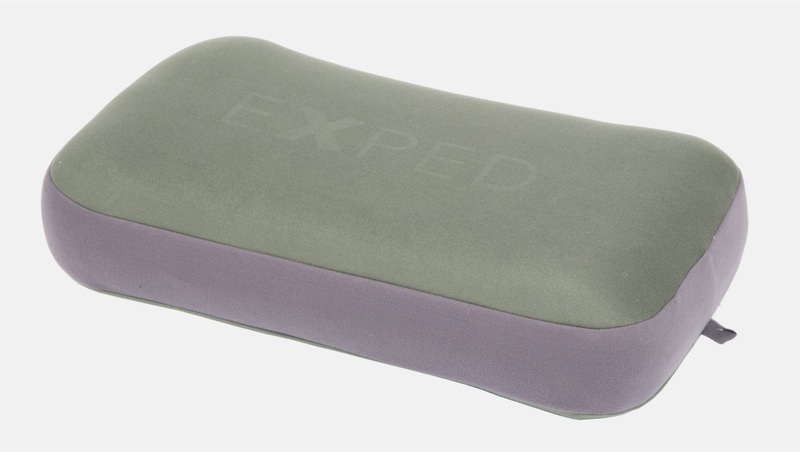 A protective lightweight cover for Exped Mats. Shields the mat from rough ground and humidity. Upper fabric feels good next to skin. 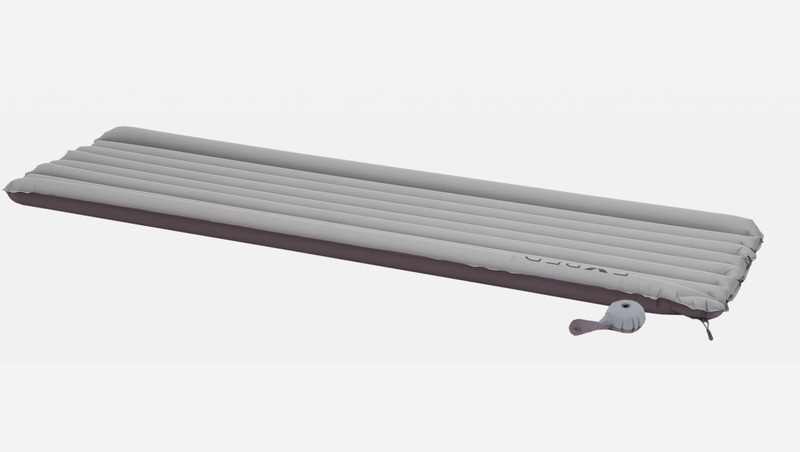 Lightweight and compact mat pump for all mats without integrated pump. With a Flatvalve Adapter (not included) the Minipump can be use on Mats with integrated pump. New for spring 2012 is the Schnozzel Pumpbag. 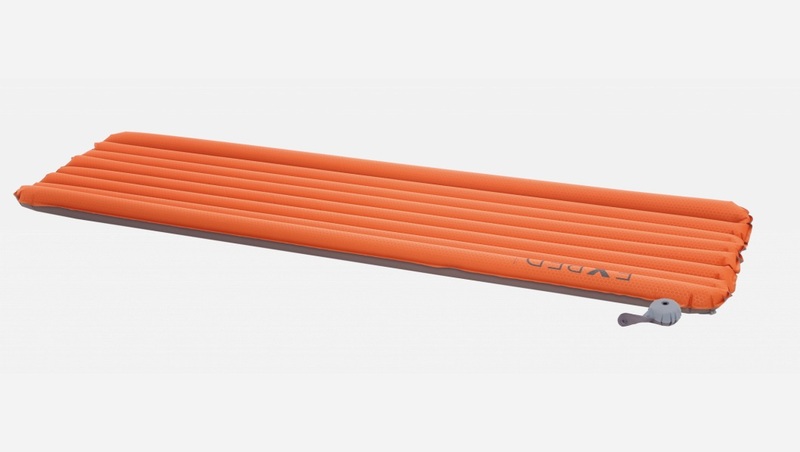 Doubling as an ultralight waterproof stuff sack, the Schnozzel Pumpbag is used to inflate Exped mats without integrated pumps, such as the DownMat UL 7, SynMat UL 7, SynMat Basic 7.5, AirMat Basic 7.5, AirMat Basic UL 7.5. PLEASE NOTE: With the FlatValve Adapter (available separately), Schnozzel Pumpbag can also be used to inflate Exped mats with integrated pumps. FlatValve Adapter is sold separately. 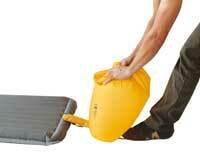 Size 70 x 45 x 10 cm/27.5 x18 x 4"
Packed 22 x 5 cm/8.6 x 2"
Pump and pillow in one: quick mat inflation by hand or foot. Close the valve and use it as anatomically shaped pillow. Ideal for all Exped mats without integrated pump. Light - the super comfortable, lightweight, and anatomically shaped air pillow. 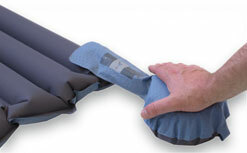 Lighter - the affordable, super comfortable, lightweight, and anatomically shaped air pillow. The Mega Pillow: Mega in comfort and size. 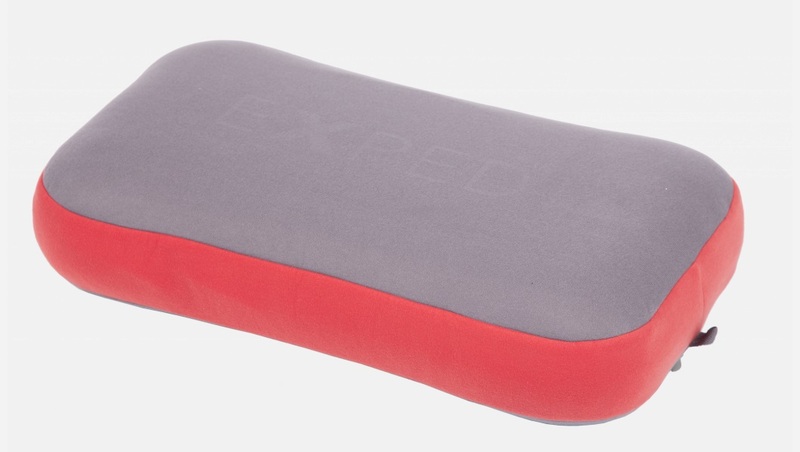 Extra large fleece padded Air-Core Pillow. 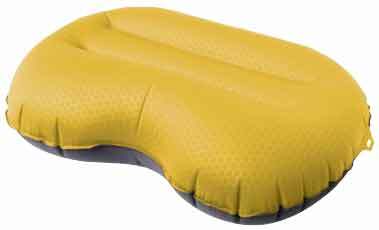 The self-inflating pillow insulated with foam pellets. Made in the same comfortable design and anatomical shape as our Air Pillows. Spending the night sitting up in a plane or bus? 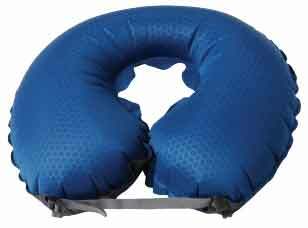 Then go for the Neck Pillow with its adjustable chin strap, thick side supports, and narrow neck support for a fully relaxed sleep position. Spending the night sitting up in a plane or bus? 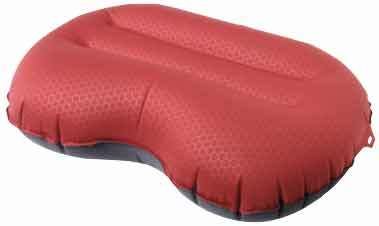 Then go for the Neck Pillow with its adjustable chin strap, the thick side supports and narrow neck support for a fully relaxed seating position. 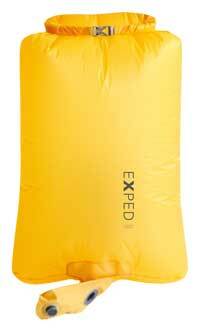 Filled with foam pellets for warmth and self-inflating properties.